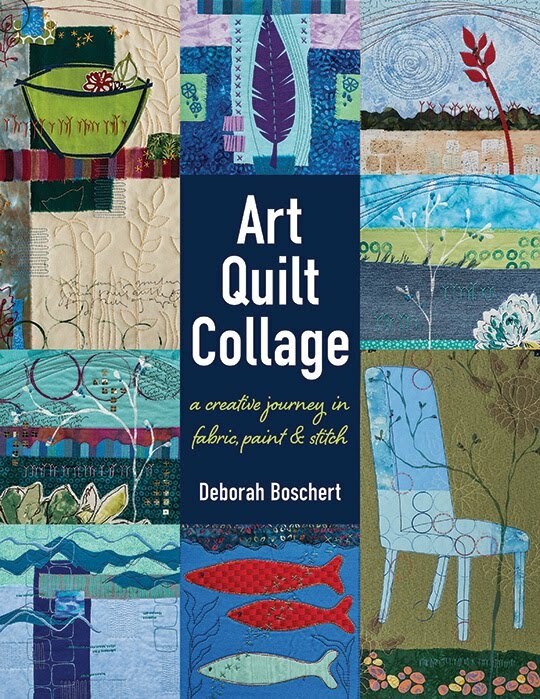 I had a great time preparing for the first meeting of small art quilt group: Frayed Edges. Kate brought ginger scones to have for morning munchies. I made a pot of coffee and set out the various fixin's -- including our nice china. I mean, gosh, we hardly ever use it, so this seemed like the perfect time. Claire saw it all set out before she went to school and asked if I was having a tea party. As a matter of fact... I am having a tea party!! I planned Hot Ginger Chicken Salad over Puff Pastry with a light salad with red pepper strips and feta for lunch. I was delish and everyone cleaned their plates. Which meant we were permitted to have cookies brought by Sarah: pumpkin spice cookies, chocolate/nut/chip and chocolate/pecan/toffee. Yes, three choices! I also had a fun time setting the table. 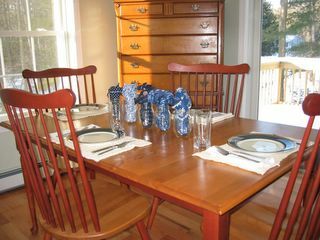 I made a simple centerpiece with jars and scraps of blue and white fabric, which somewhat coordinates with the china. And the placemats were made by my great grandmother, Mabel. She was a true multi-media artist and an inspiration. Those placemats must be nearly 100 years old. More about the actual get-together soon. Oooh I wanna come to your meetings.The food! Please send/post the recipe for the Hot Ginger Chicken Salad!! This sounds kinda like our Girlfriends group. We are all professionals so there is always work talk, and since the work is art, we are an art group, but eating is definitely a part of our get togethers. We have another bigger group, the Professional Art Quilt Alliance and we eat with them too, but at restaurants. I gotta say that your paper collage was AWESOME. 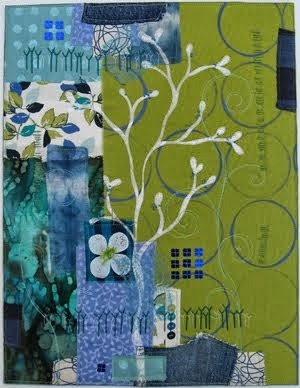 There has got to be a way to make similar compositions in fabric. You have the art-look going on there girl!